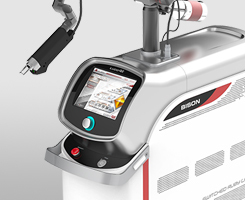 The Dual Accento by Bison Medical is the worlds most affordable hair removal laser which is safe on all skin types. 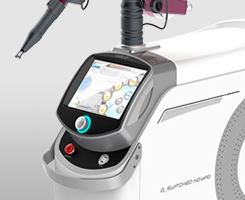 The Dual Accento has 2 laser wavelengths in the system, both 755nm alexandrite laser and the 1064nm nd:yag laser. Both laser wavelengths provide many more treatment options beside laser hair removal. Below is a list of treatments the Dual Accento can offer your business. Single Accento is a Long pulsed Alexandrite laser with 755nm wavelength. The Single Accento is excellent in treating hair removal and pigmentation. The desired effect of hair removal is provided by the necessary wavelength to penetrates deep into the skin and reach the hair follicle. In addition, due to the high melanin absorption it effectively treats pigmentation without skin tissue damage. LUCID Q-PTP utilizes two wavelengths of 1064nm and 532nm and delivers laser power in a very short period of time as 2 pulses. In order to reduce side effects of high energy, it adopts Q-PTP mode which divides the high energy into two pulses with very short duration. 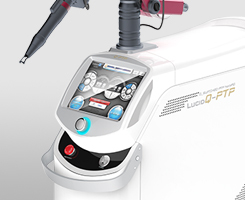 LUCID Q-PTP effectively reduces pigmented lesions on dermis and epidermis and also minimizes the risk of side effects such as hypopigmentation, pigmentation and recurrence of Melasma, comparing to previous laser toning procedures. 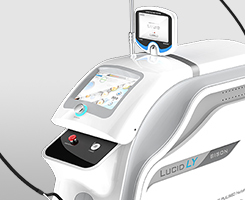 Lucid LY uses a high energy 1064nm wavelength to penetrate deeply to assist in improving loose skin and skin resurfacing treatments. 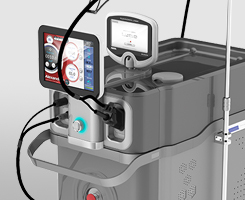 Using a high energy long pulse system enables results for deeper concerns without epidermal damage. Lucid QY uses two wavelengths absorbing in the melanin pigment selectively without damaging surrounding tissues. These removes the pigments on epidermis such as freckles, lentigos, melasma and tattoos. 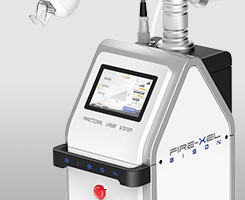 FIRE-XEL, fractional CO2 laser, equips a self skin analyzing A.I. system at first in the world. 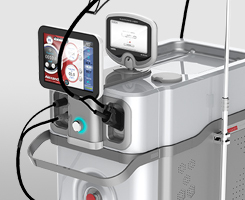 Users are able to measure and analyze patient’s skin condition and lead the best effects of skin rejuvenation for your patients with this advanced 3rd generation laser device. Differing from other products, MORE-XEL is world first 3rd generation device that has advanced RF-Driver, Stamp-laser technology. 70-80µm of small spot size helps laser to penetrate deeper into dermis, minimize damage to skin and reduce pain. MORE-XEL offers Stamp mode, Spray mode, Ultra Pulse, CW mode so it can treat not only pigmentation but also scarring & saggy skin (tightening). 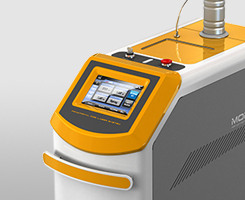 RubyStar is a Q-switched Ruby laser, which delivers energy light of 694nm using ruby as a medium. The wavelength of 694 nm is well absorbed by melanin pigment, so it is widely used to treat pigmented skin lesions. It is also effective for removal of dark colored tattoos. 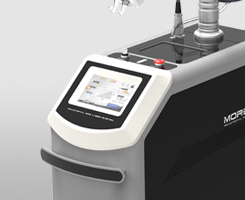 It can also be used for black, dark blue and green colors, having a wider application than 1064nm wavelength, making it ideal for those wanting to remove tattoos. The wavelength of 694nm penetrates more deeply compared to 532nm, so it is very effective against freckles, café au lait spots and other dark lesions.